Driving into Agra, my guide turned around and told me that the area around the Taj Mahal is closed off for security reasons. 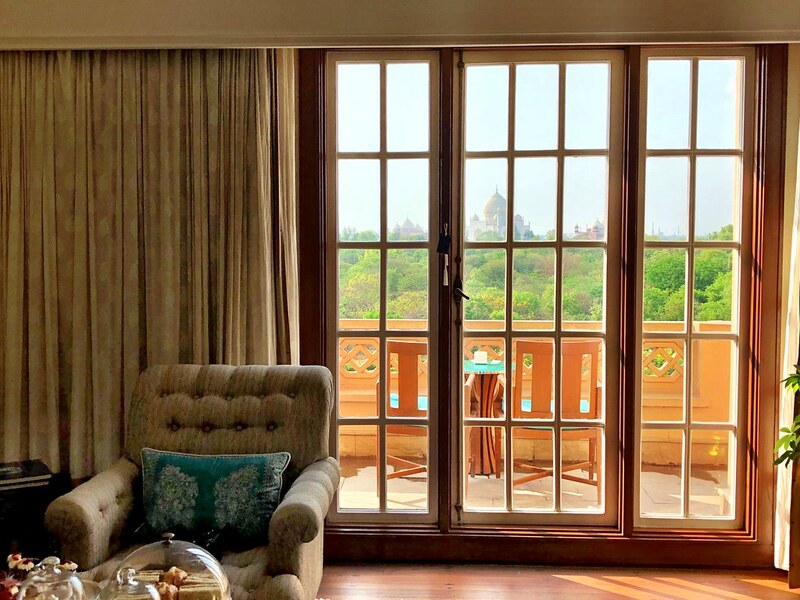 My face must have dropped a little because he quickly added, “except for guests at the Oberoi Amarvilas of course.” And that was my first introduction to not only the best luxury hotel in Agra, but one of the best hotels I’ve ever had the pleasure to call home, albeit briefly. 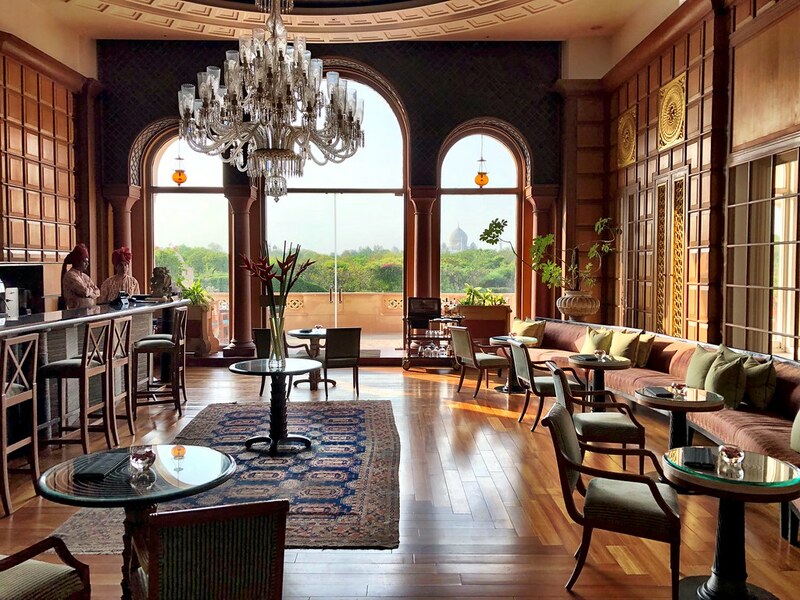 Traveling around India on a Tailor Made Journey with Abercrombie & Kent, the individual hotels and resorts were an important part of my travel experience, but perhaps none more than the remarkable Oberoi Amarvilas. Located less than half a mile from the mighty Taj Mahal itself, the Oberoi Amarvilas is without question the best way to visit and experience this world wonder. No other luxury hotel in Agra is as close and none other offers the immersive experience quite like the Oberoi does. 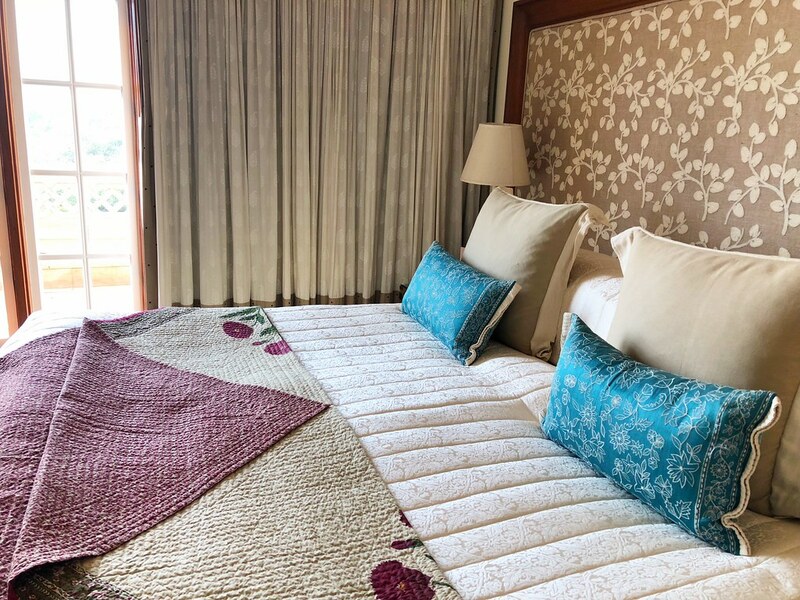 There’s of course a lot more to love about the Amarvilas than just its location, and although my time there was brief, I quickly came to love this very special luxury hotel in Agra. No matter where I went in the large, 9-acre hotel complex, IT seemed to follow me. In the lobby I saw it through nearby windows, the bar area frames it perfectly and especially in my immaculately outfitted suite, there it was everywhere. 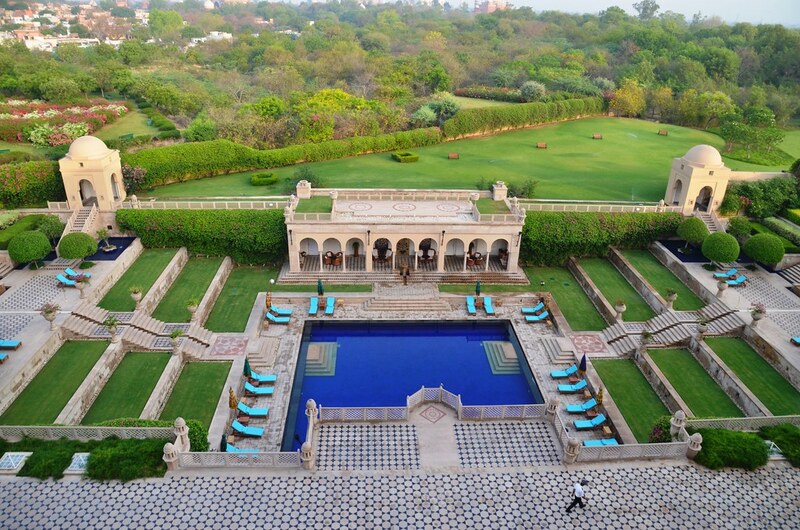 Yes, the Oberoi Amarvilas highlights incredible views of the Taj Mahal almost anywhere you go around the property. This only makes sense because, and no offense to the city of Agra, I’m willing to bet that nearly all guests of the Oberoi are there for a singular reason, to see and experience the Taj Mahal. And that spirit of the Mughals is reflected in nearly every detail of the hotel. With just 102 rooms, including 7 suites, like all Oberoi experiences, the feeling is one of personalized attention and exclusivity without feeling oppressive. Elegantly appointed with polished timber floors, hand-knotted carpets, original artworks, fine handcrafted furniture and wood inlay desks, no detail is left forgotten. The public spaces are perhaps the real stars though, carrying on those Moorish and Mughal themes to every inch of the property. From the massive lobby with colorful rotunda to the bar area that harkens back to the colonial era, the hotel to me looked brand new. So imagine my surprise when I learned that it first opened its doors in 2000 and hasn’t needed a renovation since then. That’s what I call a timeless design and one that works in almost every way. Of course, the hallmark of any great luxury hotel isn’t in the wood inlays or polished brass, it’s in the service and this is where the Oberoi Amarvilas shines brightly. With an incredible staff-guest ratio, I felt as if I was the only person at the hotel, every need was seen to quickly and without hesitation. I’ve had some less than great hotel experiences lately, so when I find a hotel that truly understands and delivers incredible service, it’s truly a special occasion. This comes from corporate culture, but also an incredible personal dedication on behalf of everyone who works at the Oberoi. They truly cared about my experience at the hotel, and I’m not alone in that feeling. I watched my fellow guests carefully during my time in Agra, and I quickly saw that same look of dumbfounded amazement as was also permanently plastered on my own face throughout my stay. I don’t have the figures, but I imagine that the average stay at the Oberoi Amarvilas is only a night or two. Tourists are there to see the Taj Mahal, and while there are a few other sights in the city, there’s not much else to do. That means the hotel has a limited time to make an impression and also to ensure that the guest experience is seamless. The culinary side of the house plays a big role in this aspect, offering casual options in the Bar and Lounge areas, as well as two full service restaurants. The aptly named Bellevue offers all day dining and is where most guests start their days with an elaborate breakfast display. For something a little more refined, Indian specialty cuisine is offered in the evenings at Esphahân with two seating times. The Oberoi Amarvilas also does an incredible job in realizing that they are much more than a simple hotel. 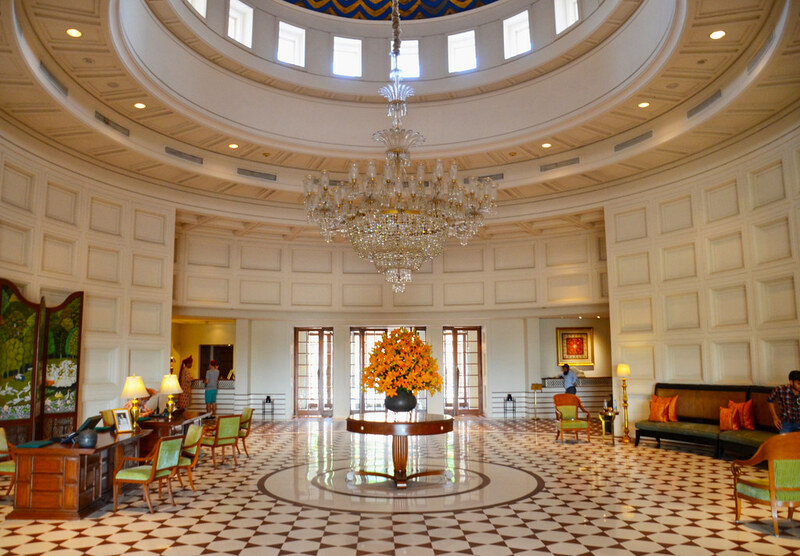 Guests are there to experience the Taj Mahal and the Oberoi is very much their experience curator. There are any number of special touches that round out a stay, from one of the best hotel pool and lounging areas I’ve ever seen, to coordinated special moments to make the travel experience even more memorable. One such experience is enjoying a private breakfast, champagne or not, on your private balcony. Watching the sun slowly rise over the Taj Mahal while sampling some of the hotel’s famous breakfast options is an experience I know I won’t soon forget, and was yet another special way for me to enjoy my time admiring the Taj Mahal. Speaking of the Taj Mahal, it truly is at the center of the guest experience at the Oberoi Amarvilas for all of the expected ways and more. Every room and nearly every public space features views of the UNESCO World Heritage Site, the view of which never failed to make me pause. But they also do a great job in coordinating a seamless visitor’s experience as well. Most tourists get up early at least once to enjoy sunrise at the Taj Mahal, so the Oberoi has a small breakfast display of tea, coffee and pastries to keep guests sated until a more robust breakfast later on. 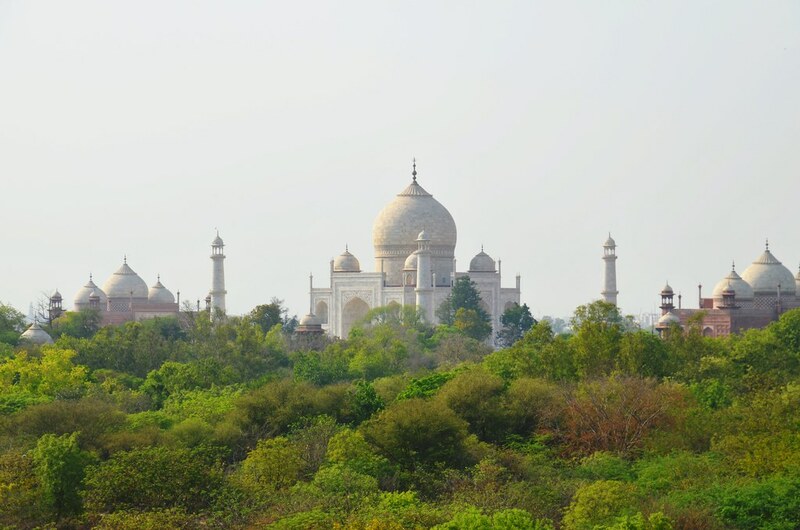 Tickets are available for sale directly from the hotel and, even though it’s a very short walk to the Taj Mahal, there’s a complimentary golf cart transfer for guests to the monument itself. It seems as though the Oberoi Amarvilas has considered every aspect of visiting the Taj Mahal because, well, they have. Going from guest room to the monument is quick, easy and stress-free. Ultimately, that’s what we as tourists want when visiting a site as popular, and busy, as the Taj Mahal. I’m a very picky person and that’s especially true when it comes to hotels and resorts. I have been able to find faults, admittedly minor ones, at some of the best hotels in the world. In all honesty though, I can’t think of anything I would change at the Oberoi Amarvilas. Nothing was amiss, every moment there for me was special and remembering my experience, I have to think that this may be one of the best hotels I’ve ever had the great pleasure of patronizing. That’s just one of many reasons why I enjoy traveling with Abercrombie & Kent so very much. Hotels are a critical aspect of the travel aspect for me. I enjoy hotels, I like spending time in them and I like to be pampered from time to time. Abercrombie only works with the best hotels and resorts in the world, so it’s an aspect to the travel experience I know I never have to worry about. 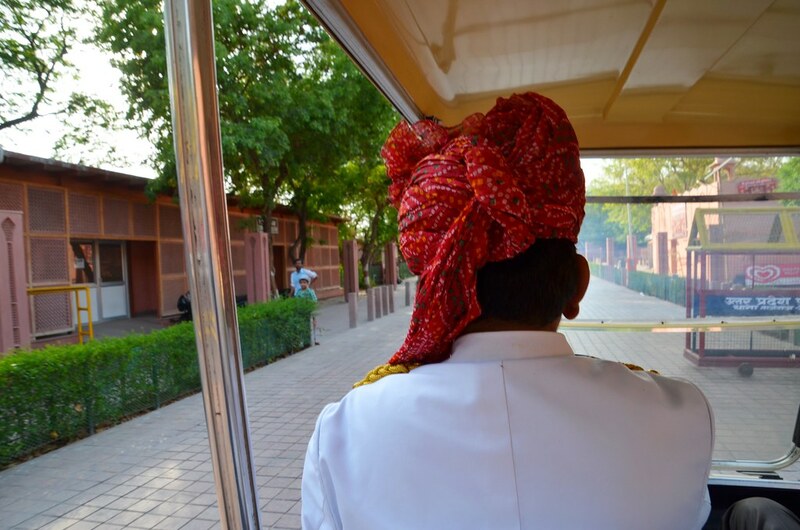 India was my first time experiencing the luxury service of the Oberoi brand both in Agra as well as in Udaipur. I quickly understood why they win so very many awards; both experiences were beyond reproach and in fact were amongst the most remarkable moments of my journey through India. While my time staying with them was brief, I know it won’t be my last time enjoying the luxurious hospitality of the Oberoi Hotels and Resorts. Love your review and will be staying there in November. Cannot wait and hope to have the same wonderful experience.